We hope you’ve had a wonderful August and have been enjoying the summer growing season to its fullest extent. 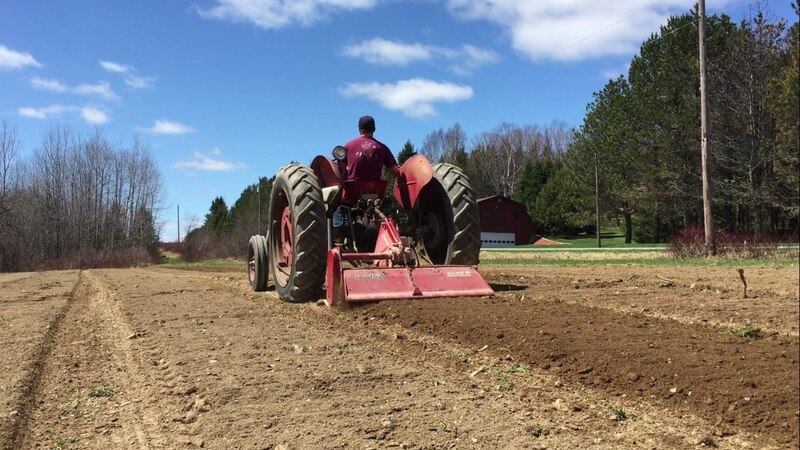 Despite mid September sneaking up on us, we are continuing to grow dozens of different lettuces for our friends at restaurants, grocers and farmers markets. 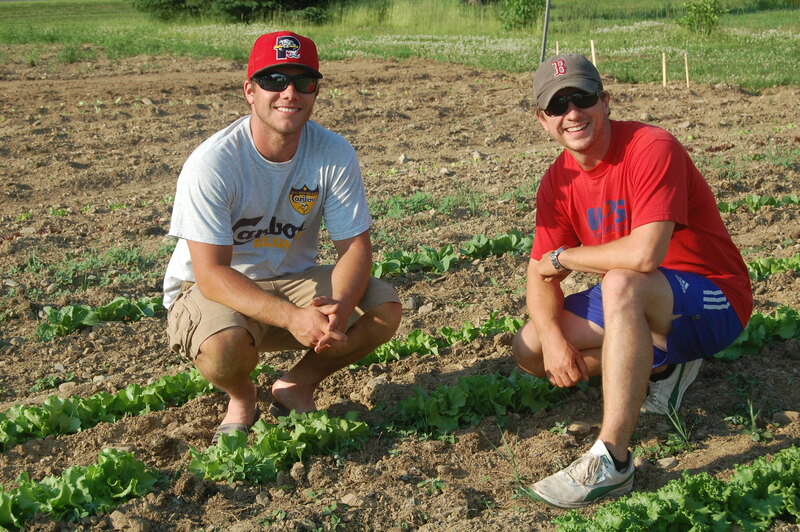 Thanks also to all those who have been enjoying our lettuce and greens shares across Maine, New England and New York! 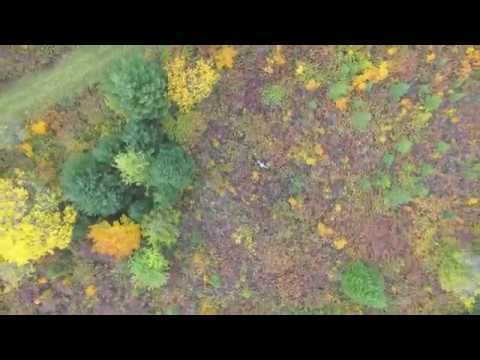 We hope we will get to visit with some of you next weekend at the Common Ground Country Fair in Unity, Maine. We will be happy to recommend our favorite lettuce varieties. There are hundreds of lettuce varietals available, so we thought we’d first take a shot at demystifying some of the broad categories of lettuce. 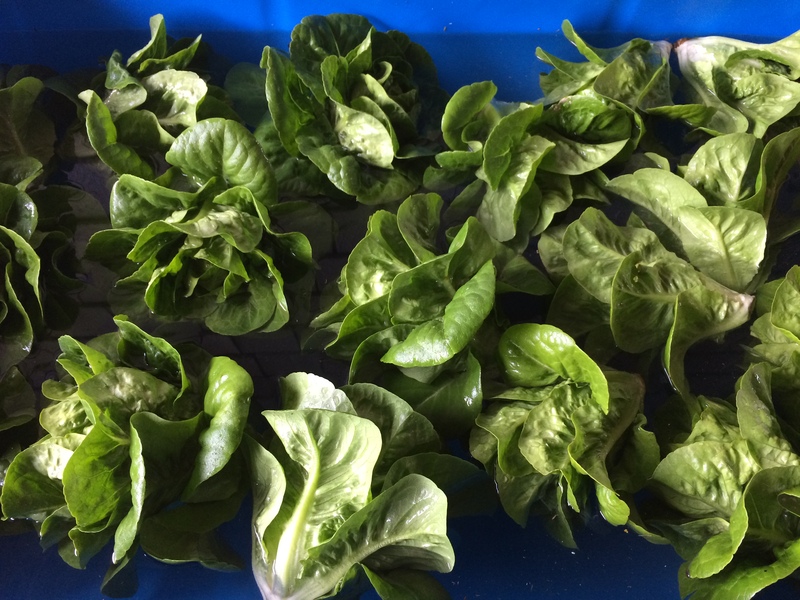 Our lettuce varieties can be full sized or mini head, red, green, speckled, and everything in between. Certain varieties do best in the early season, while others thrive in the summer or early autumn. Below is a brief guide to understanding the types of lettuce you have been eating from our farm. Though we call many varieties of lettuce a “Green Leaf” lettuce, we do not harvest by the leaf, but rather by the head. The heads can be harvested at all different stages of growth. If left to become full size some green leaf varieties may reach sizes as large as a 1 1/2 pounds before bolting or going to seed. 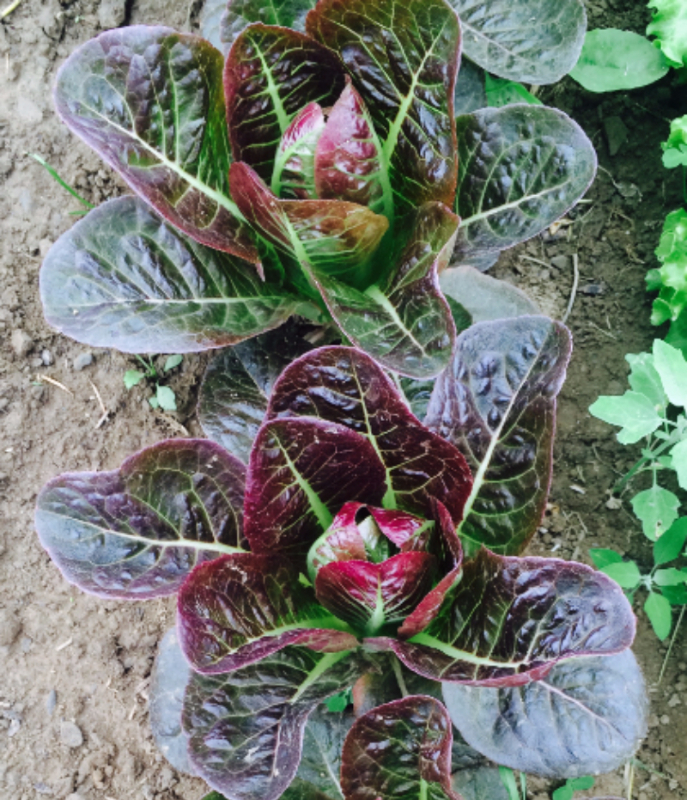 Red leaf lettuce is in many ways similar to her cousin the green leaf lettuce. Both have individual leaves that grow upward and do not form a tight head. Red leaf tends to have green intermixed in its leaves with many varieties, but can exist as a purely red leaf. We harvest our red leaf at the base of the stalk. 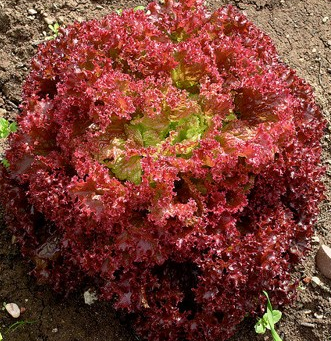 All red lettuces are very high in nutrition, and many red leaf lettuces are very tender. For this reason they may bruise a bit more easily. A delicate and beautiful lettuce type, butterhead tends to have loosely formed heads with tender leaves. Leaves tend to be soft and bruise easily, but the lettuce has a particularly sweet buttery taste with a smooth texture. Often used for lettuce wraps. 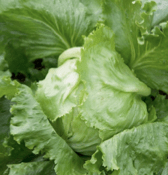 Bibb lettuce can be both red or green, full sized or mini head. Most types form a small head with an open but tightly bunched fan-like structure. The heads tend to be sweet and crisp and grow like ladder rings upward off the center stalk. Gromaine romaine grows very upright, usually in tall oval like leaves. Heads can range from large, heavy heads with dense hearts to small mini heads without hearts. 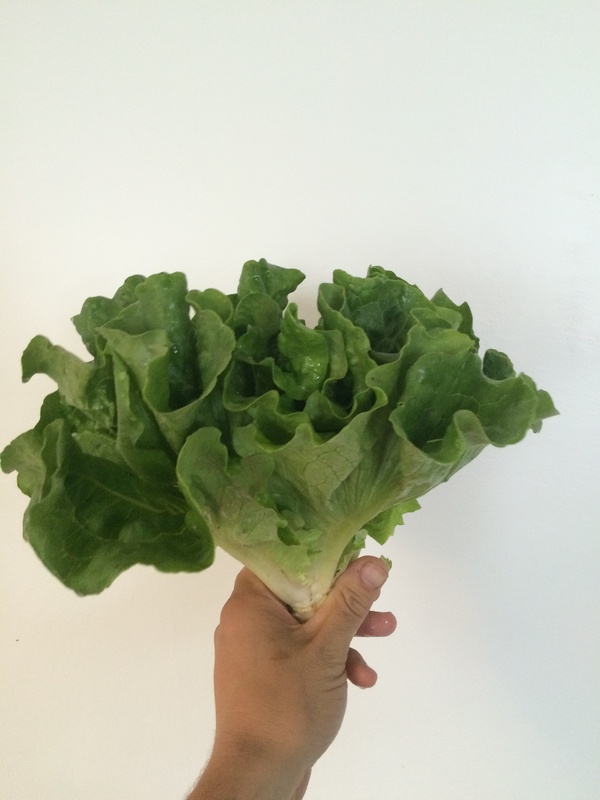 Particularly crisp and crunchy because of the center leaf vein, it is great in caesar salads. It can be red, green, or both. 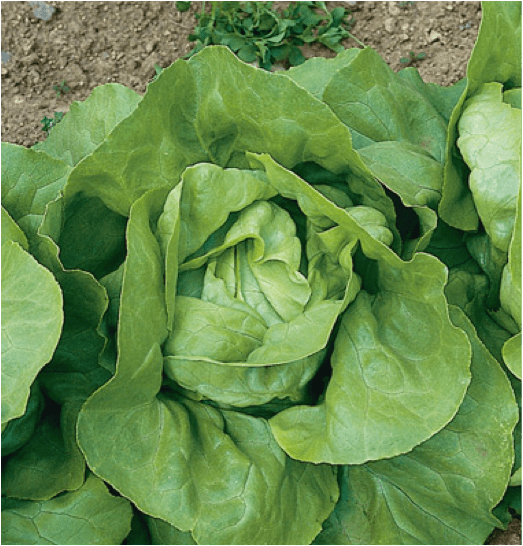 Uniquely suited for growth in the summer heat, summer crisp lettuce varieties can have characteristics of both green leaf and romaine lettuces. Heads can be harvested at all stages of development. Summer crisp tends to have a thick leaf which makes it crisp, flavorful and juicy. Oak leaf lettuce is just as it sounds having the visual appearance of a oak leaf. Deep lobes in the leaf give it a unique shape. This type is often found in mesclun mixes as a baby leaf. 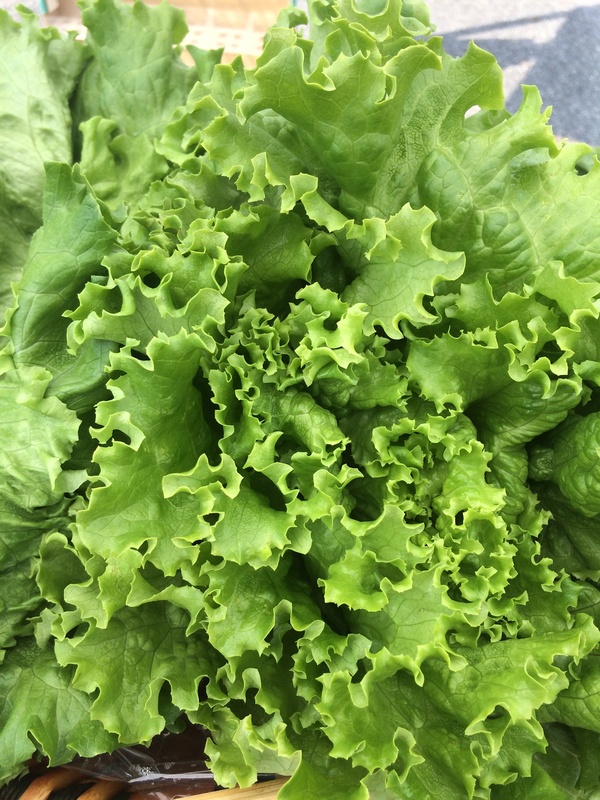 Lollo lettuces tend to have a wide leaf that can be frilled or curl in the center. 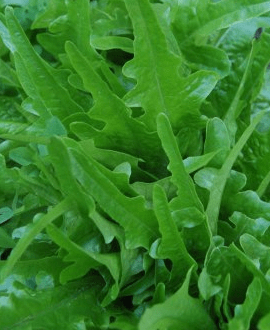 This is another variety that is often harvested as a baby leaf and included in mesclun mixes. It can also be grown to full maturity at which point it exhibits a rosette pattern. 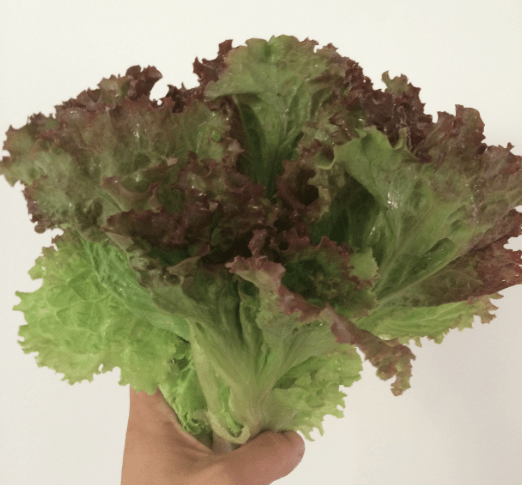 A common varity of lollo is lettuce is called Dark Lollo Rossa. For many, iceberg was the lettuce they grew up with and, depending upon the person, can be beloved or dismissed as flavorless. We grow several varieties of iceberg we find to be particularly tasty. Our types tend to be glossy and less tightly formed than those you might find in the supermarket. The inside centers tend to be white and juicy.